CHICAGO — Wilson Racquet Sports, a division of leading sports equipment manufacturer Wilson Sporting Goods (wilson.com), is proud to serve as official ball sponsor of this year’s Junior Orange Bowl International Tennis Championship, which begins this week in Coral Gables, Fla., and runs through December 23. This year’s tournament has received a record number of over 1,300 competitor applicants aged 14 and under, attracting the most promising young tennis stars from around the globe. 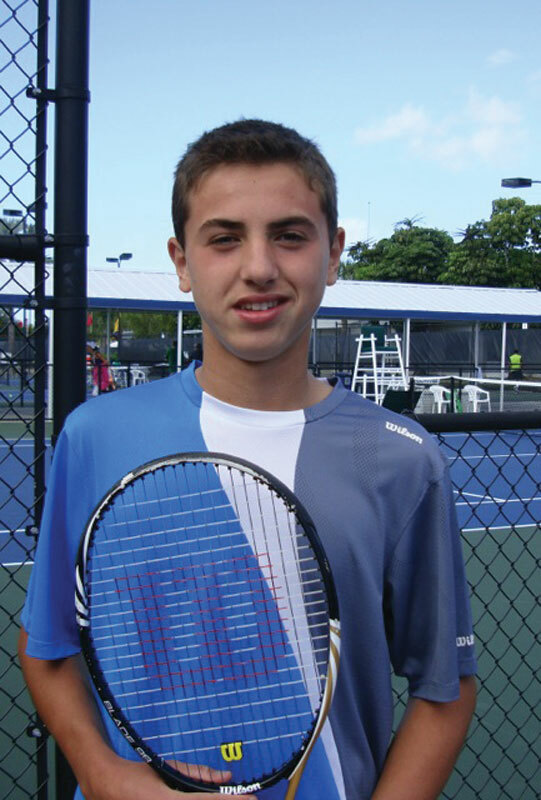 This year’s players to watch include Wilson top juniors and recent winners of the Eddie Herr International, Dominique Schaefer (U.S.), winner of the Girls 12’s Singles title and Mariya Shishkina (U.S.), winner of the Girls 14’s Singles title. Wilson head to toe player Bogdan Borza (Romania), who is currently the European under 14’s Boys Singles Champion will be an exciting prospect to follow, as will last year’s 12 and under Junior Orange Bowl runner up Chan Yeong Oh (Korea) and Florida native Noah Makarome, the current number two ranked player in the U.S. in boys 12 and under. Past alumni of the Orange Bowl Championship boasts an impressive list, including Wilson players Juan Martin Del Potro, Justine Henin and Chris Evert, as well as past and current ATP and WTA stars. There will be four divisions of the Championship: boys 14 & under, girls 14 & under, boys 12 & under, and girls 12 & under. Play will take place at four different locations on multiple surfaces. The boys 12 and under tournament will be played on clay, while the three other championships will be played on hard court. Qualifying matches will be held from December 14 to 16, with the main draw taking place from December 17 through 23. For more information, visit jrorangebowl.org.